Along with the much-anticipated release of Marvel’s ‘Black Panther’ came the much-anticipated release of the Black Panther Soundtrack. Featuring over 10 artist’s talents, the album is anything and everything fans could ask for. 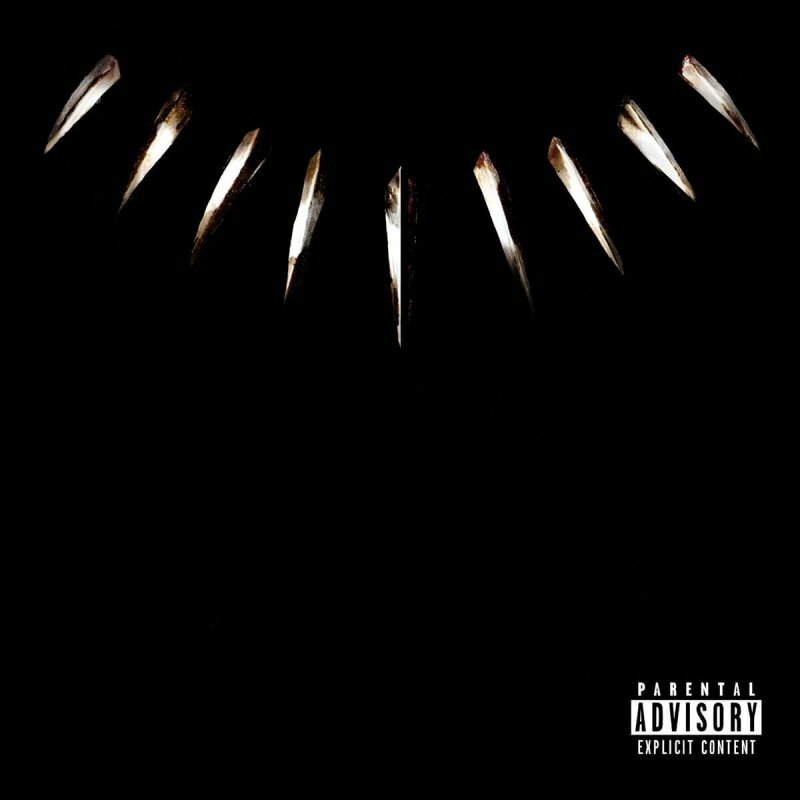 The soundtrack opens with the song "Black Panther" by Kendrick Lamar, who is featured on almost every song on the album. Lamar just released his soundtrack DAMN. last fall and after hearing this album I’m not sure if the man sleeps. Lamar joins with SZA on the second song of the album, "All the Stars." The song’s slow metronome beats in the background before it is joined by a solid drum loop. SZA’s soft vocal echoes and Kendrick’s words makes for a fantastic 3 minutes and 52 seconds. Throughout the album there are different songs that help visualize what might be happening in the movie. "X" by Schoolboy Q featuring 2 Chainz and Suadi is one of these songs. The song begins with a Kendrick Lamar hook that is repeated throughout the album and verses rapped by Saudi and Schoolboy Q. Kendrick Lamar returns in the third verse and is joined by 2 Chainz. The echoes of Kendrick from the alternating left and right sides of headphones sets an almost “urgent” sound while keeping a balance musically. The next two songs on the album feature artists such as Khalid, Swae Lee, Yugen Blakrok and Vince Staples. ‘The Ways’ displaying smooth beats and even smoother vocals throughout,"Opps" featuring a faster paced tempo but both featuring Kendrick Lamar. "I Am" is one of the slower, more vocal-heavy songs on the album. Jorja Smith and Kendrick Lamar’s voices blend incredibly well for this slow jam, making it a standout bop for the ages. "Paramedic," "Bloody Waters" and "King’s Dead" are the next three songs on the album. Featuring artists such as SOB X REB, Ab-Soul, Anderson .Paak, James Blake and Jay Rock, it makes for a good combination of sounds for the middle of the album. ‘Bloody Waters’ stands out of the three with its calm marimba-like hook but strong beats in the background. With softer beats and smoother vocals, "Redemption Interlude" featuring Zacari assists in the buildup of the next upbeat song "Redemption." Just as Zacari sings during the interlude, he is joined by Babes Wodumo on "Redemption" which is slower vocally but fast paced instrumentally. The mixture of the two balances makes for a cohesive sound and a standout dance track on the album. Continuing the slow jams is "Seasons" featuring Mozzy, Sjava and Reason. The song opens with a long droning “Seasons change” that grabs your attention immediately and the rest of the song keeps your attention with slow beats and smooth hooks. As the last of the slow jams on the album, it does not disappoint. Travis Scott and Kendrick Lamar collaborate for the song ‘Big Shot’ towards the end of the album. The song features a pan flute hook throughout the song layered with a beat that carries throughout most of the song. Lamar and Scott’s vocals work well together and make this song rememberable. The final song on the album ‘Pray For Me’ features The Weekend. The song is hands-down one of the best songs on the album, which is hard to choose from because the album is so high quality. With The Weeknd’s smooth vocals singing the chorus and Kendrick Lamar’s rapping for the verses the song is no doubt a standout track on the album. Album after album, Kendrick Lamar seems to bring something new while keeping his own personal sound evident. The album is impressive in the sense that even when over 10 different artist’s talents are featured and highlighted Lamar’s talents are still clear and there. Musically, the album is an incredible well balanced piece of art, even if you’re not a fan of any of the artists or the sound of the album that is clear to hear. From slow jams to upbeat loops, to catchy hooks and to vocal lines the album always vaires but never strays from its theme. I’ve said it once and I’ll say it again, Kendrick Lamar never ceases to amaze me with the talent that he brings to the table. Standout Tracks: "All the Stars," "I Am" and "Pray for Me"
Madi Gross can be reached at musics.spectator@gmail.com.